Gage goes to school Monday-Thursday and mornings are a time he usually is willing and wanting to learn a little, so I decided to start doing a little state work each three-day weekend. We, of course, started with Ohio. I decided to use this new series I found at the library. We started by reading through the book and then I chose some things that were in there to do 5-10 minute activities over the three days. My goal is really just two activities for each of the three days and then two books, this one and one more picture book. 1. 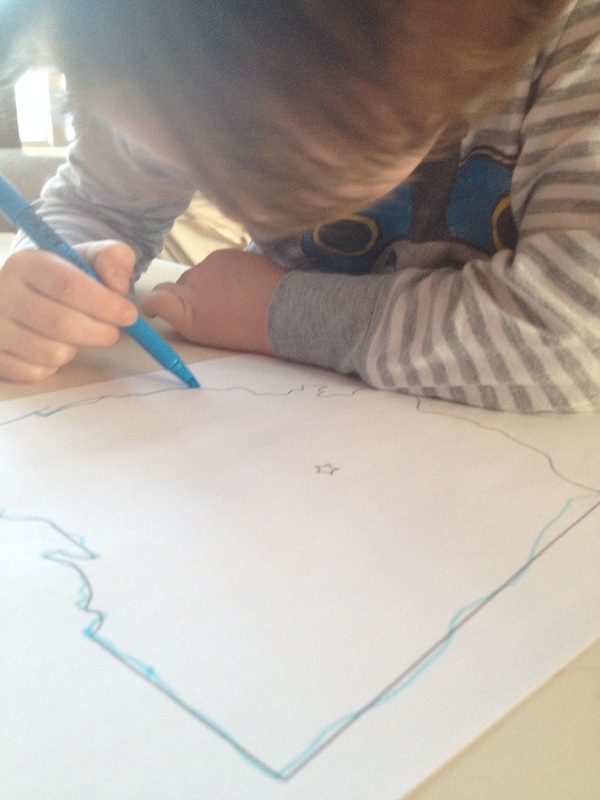 Traced the state and marked the capital with a star and added some glitter glue. Also wrote the name on the state. 2. 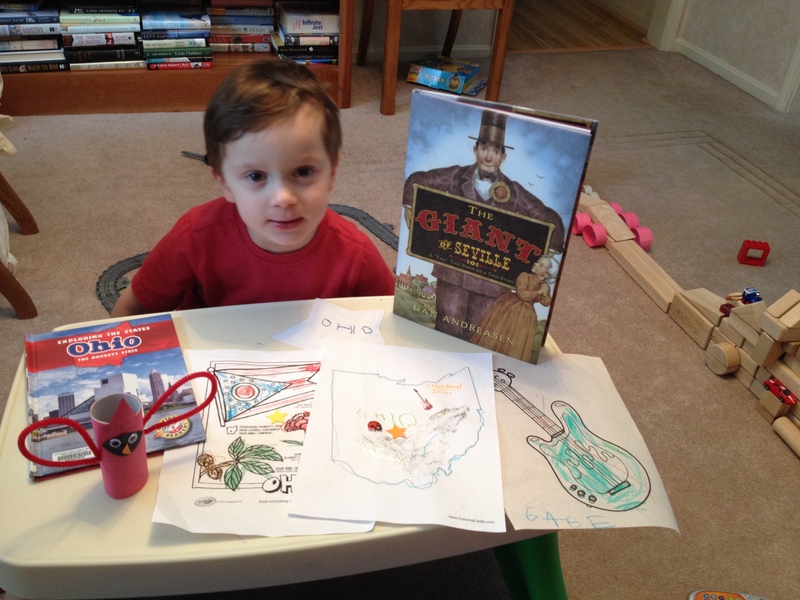 Used the book to figure out how to color the state flag, the buckeyes, and state flower a red carnation. 3. Colored a guitar for the Rock & Roll Hall of Fame and marked it with a guitar sticker on the map. 4. 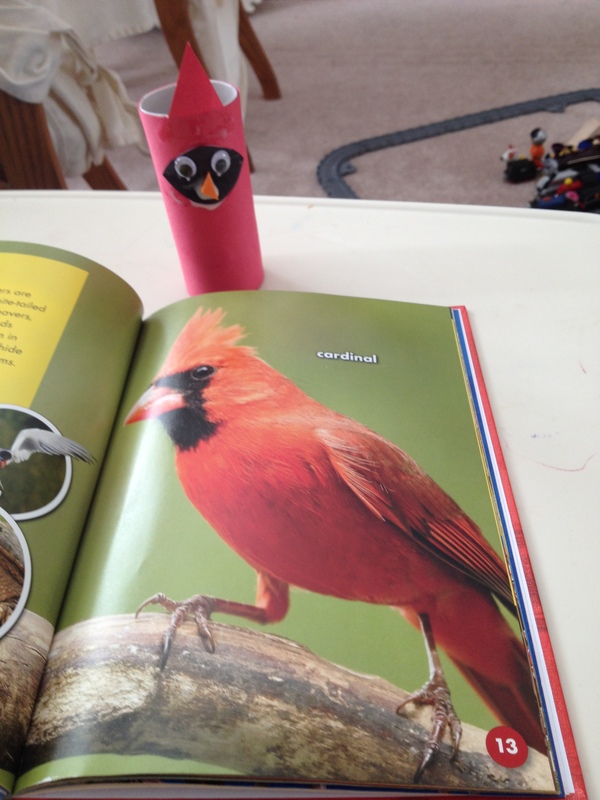 Made the cutest little cardinal (state bird) that I found on Pinterest. 5. VIDEO-watched a video of Neil Armstrong (Ohioan) landing on the moon. 6. Read the book The Giant of Seville. Related activity-We marked everyone’s height on the wall with a sticker and then used the tape measure to measure how high the giant was (he reached our ceiling!). This was a good estimating activity since my parents were here. We started by marking his height and then he had to guess who would be the next tallest each time. Cutting, gluing. Tracing. Estimating and measuring.